At GriffinOT we design all of our Sensory Processing Disorder training courses with parents and teachers specifically in mind. We do so because we want you to understand what Sensory Processing Disorder (SPD) is and how to help children or adults with sensory issues. As such, our training zooms in on sensory sensitivity, sensory seeking, and sensory slow responses We discuss what these might look like and give you ideas and strategies to help with sensory processing challenges at both home and school. Although our training is written specifically for parents and teachers who want to learn more about SPD, it is also suitable for other professionals with little to no previous knowledge in the area, including teaching assistants, GPs, social workers, psychologists, nurses, and physiotherapists. Your child has been diagnosed with, or you think your child has, SPD. You work with children who have SPD. You want to understand more about sensory sensitivity or sensory seeking. Your child has Autism or Asperger’s. You work with children who have ASD. You’re looking for sensory strategies that could help to support your child or the children you work with. You want to know how to use sensory strategies correctly and safely. 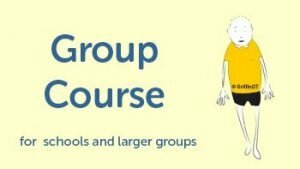 The Sensory Processing Disorder training course is available in two formats. One format is best for individuals and the other is best for groups. For more information, please choose the option that suits you best. You can learn more about our Sensory Processing Disorder training by watching this video.